My bottle collection in the basement is growing everyday. Yep…I have been saving every bottle, to the dismay of my wife, for the last photo of every bottle in one shot. Of course that will be minus the beers I have had on draft. Now lets journey to Cooperstown, New York to Brewery Ommegang for beer #213. 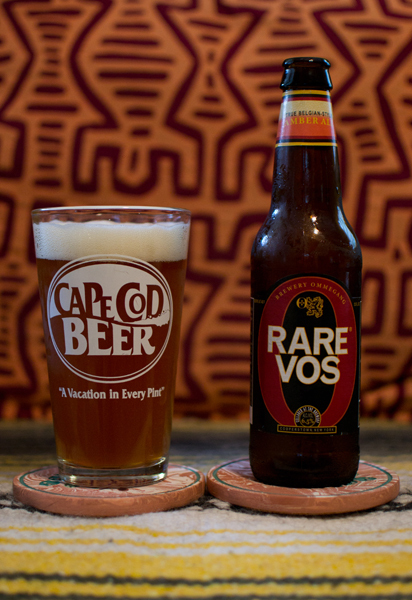 Today’s beer is Rare Vos. According to the label, Rare Vos is Flemish for “Sly Fox” and it is also a famous cafe in Brussels. 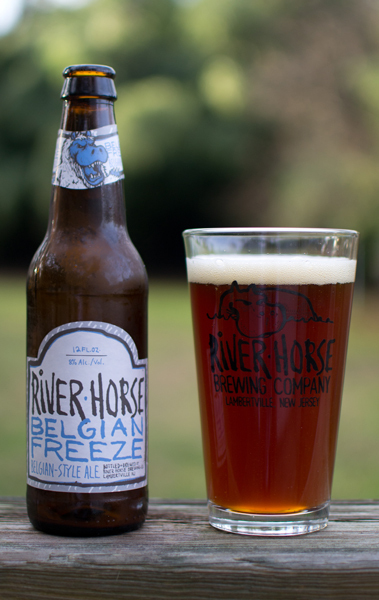 This Belgian Dark Ale has an ABV of 6.5%. It poured a cloudy, hazy shade of amber with an orange tint it. Topping it off was a nice two-finger width creamy off-white head. Nice nose on this one with a clove like spiciness, citrusy orange, and bready malts. The malty goodness (think toast) hits you up front in the taste and then it gets spicy and fruity all the way to the dry, bitter finish. Nice creamy mouthfeel with a medium body and moderate carbonation made this nice and drinkable for me. I have to say at first smell and taste, this threw me for a loop. The label mentions Amber Ale and that was what I was expecting. I guess I should have noticed printed above the Amber Ale it said True Belgian Style. To be honest, knowing it was from Brewery Ommegang, I should have known this wasn’t a straight up Amber Ale since all they brew is Belgian style beers. I enjoyed this one quite a bit. This was one of those beers that got even better as it came down to room temperature as it got even creamier and smoother. Good stuff from a brewer in the same home town of the Major League Baseball Hall Of Fame.